Blockchain-enabled P2P energy trading will transform energy networks into trading platforms and invoke a transactive economy that moves away from bilateral retail arrangements to multi-lateral trading ecosystems. San Jose, California - April 13, 2018 /PressReleaseAgency/ — The ICO Pre-Sale announcement from the team at UEC has sent shockwaves throughout the global energy sector. After all, this is the World’s First Blockchain Photovoltaic Assets & Cryptocurrency Exchange. 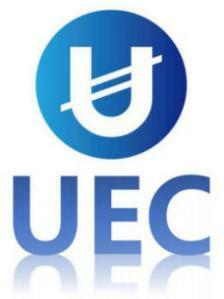 UEC is a decentralized network protocol based on blockchain technology, which digitizes the assets and equity of the physical energy, registers and transfers transactions and delivers liquidation through the peer-to-peer network. In essence, a construction and management service application supplier of global photovoltaic smart contracts. During a recent interview, a company spokesperson explained some of their goals: “What we are going to do is establish a value-exchange network that allows consumers to achieve fair returns from distributed energy resource (DER) investments will encourage greater investment in distributed renewable energy and promote a new era in power network management. This new paradigm will lead to increasing levels of automation and flexibility, with millions of micro-investments distributed throughout the system, rather than a few large-scale, centralized investments.” No longer will the average electrical consumer be dependent on the centralized power-grid. The UEC platform is an ecosystem that can achieve interoperability between multiple market management/pricing mechanisms and power units (kWh) through the purchased UEToken. The UEC Platform provides a transparent governance framework that allows the Ecosystem to interface with energy markets around the globe seamlessly, bringing innovation and a wide range of network benefits to consumers. UEC’s Ecosystem puts choice in the hands of the Consumers by allowing them to specify where they want to purchase their energy from. The team at UEC has developed its own unique transaction matching algorithms which transact available power fairly between average consumers and Consumers without favoring any of the Participants. This ICO represents the next generation of energy management on a global scale.